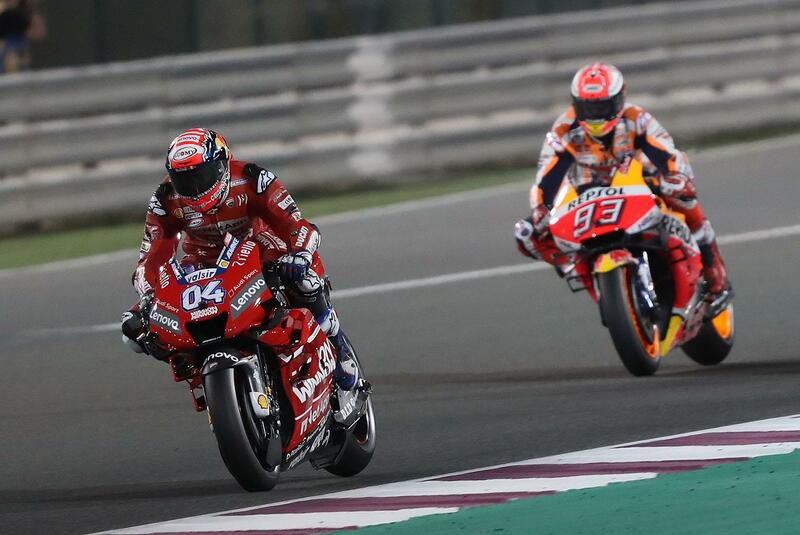 Marc Marquez has admitted that he expects his Honda team (and other manufacturers on the MotoGP grid) to try out their own version of Ducati’s new swing arm-mounted spoiler device sooner rather than later, after it was deemed legal this week by the FIM Court of Appeals. Speaking ahead of this weekend’s Argentine Grand Prix, the reigning world champion told MCN that it only makes sense to try it out. Fellow Spaniard Alex Rins agreed with Marquez, admitting that while he doesn’t feel there’s much of an advantage to be gained, he’s sure that the teams will work to make sure there’s no benefit before dismissing it. Rins’ prediction was all but confirmed to MCN yesterday too, with team boss Davide Brivio admitting that they’ll most likely roll out something, probably most likely at the Jerez test in May Joining his fellow team bosses in launching comprehensive studies into the nature of Ducati’s part (including computational fluid dynamics studies), he says that it won’t be long until the others follow suit.